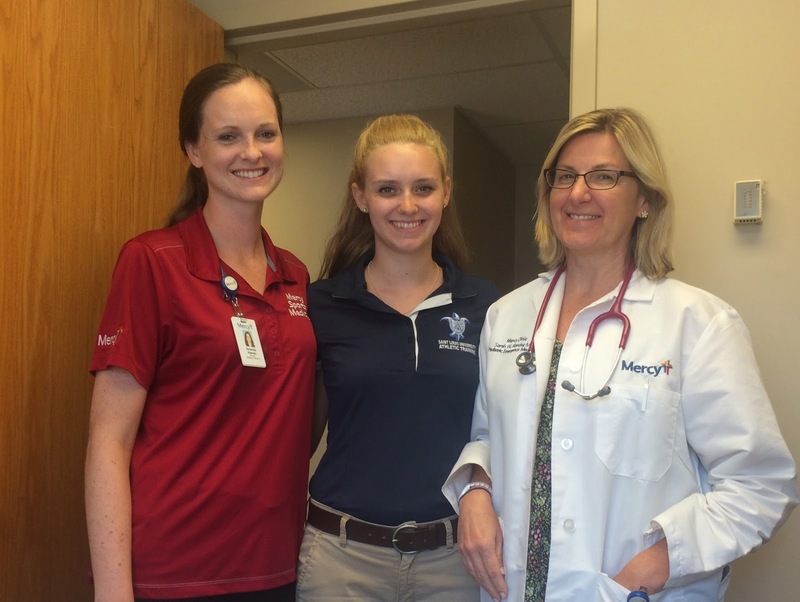 I have had an awesome experience working with two Mercy clinics this summer. I have learned so many new things that I will be able to take into my PY2 year and future career as an Athletic Trainer. I have been working with Amanda Keenan, ATC, under Sarah W. Alander, MD, at Mercy Children’s Post Concussion Clinic. At the clinic we work with kids under 18, who have sustained head injuries. Most of the patients we see have had multiple concussions, or have symptoms lasting for long periods of time. 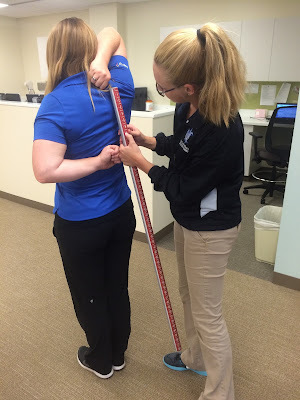 We track the patients with ImPACT testing, BESS testing, and keep up with them regularly. We treat some of the patients for post concussion migraines, but we have also been able to treat them with therapy as well. I love working under Dr. Alander. She has taught me so much about concussions and has let me become very involved in the clinic. I have also been at Mercy Sports Medicine Clinic working with Amanda Keenan, ATC, Maghan Mulloy, ATC, and Katie Mazzaferro, ATC, DPT. At this clinic we work with athletes of all ages. We take a whole body approach to treatment. 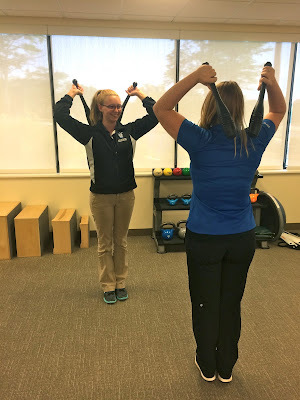 We use Selective Functional Movement Assessment (SFMA) and the Functional Movement Screen (FMS) to take a look at how the body works. These can point out issues the athlete might have that could make them prone to injury. We focus strongly on manual therapy and functional movement to alleviate pain. I have been able to make my own plans with some of the athletes and have learned so many new techniques from my preceptors. I have loved working at both of these Mercy clinics. I will always use what they have taught me, and I’m so glad I got to spend the summer with them all!